A visit to Chowking with my son is always an Orange Chicken Meal so I opted to try the new re-introduced Sweet and Sour Pork Meal (P79) at the SM Mall of Asia. The SM Mall of Asia branch was filled with so many people doing the holiday shopping rush and it took us a while to get an empty table last Friday. 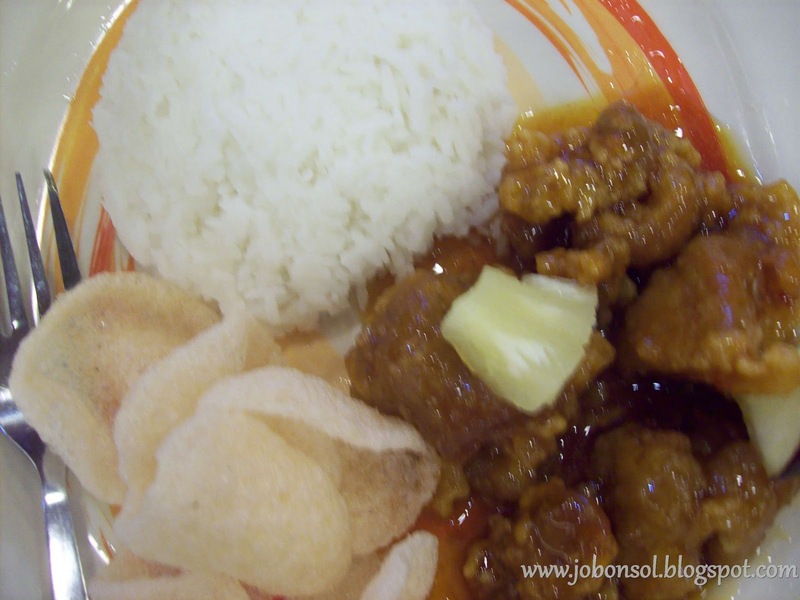 We ordered Orange Chicken Meal (P89), Sweet and Sour Pork Meal (P79) and Pork Tofu (P54) with iced tea. The Orange Chicken was still my son's favorite with mandarin oranges. I was excited to taste the new re-introduced Sweet and Sour Pork seeing the print ads in giant billboards in EDSA and highways because I had tasted this dish when I was in college which Koreans would compare to their "Tangsuyuk". It's really been a long time since I've ordered this dish. When the food was served, I was happy to see the apple and pineapple slices on the plate. 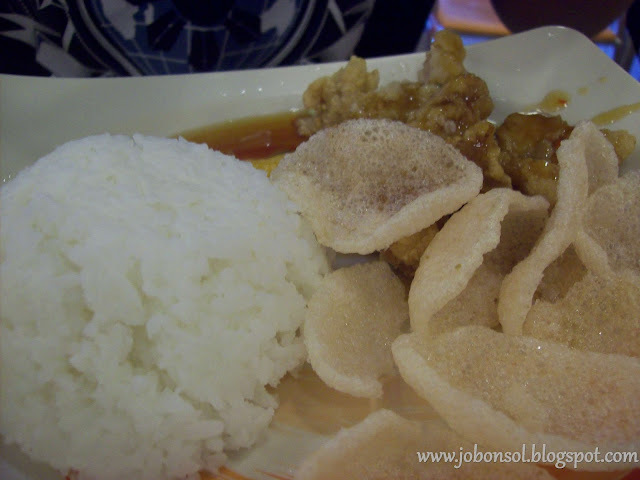 The taste was still sweet and sour but crunchy and fruity compared to my memory of the old sweet and sour pork of Chowking during my college tutoring days. The crunchy Chicharap with the crunchy and fruity fried pork with the pineapple and apple slices was truly a colossal dining experience. 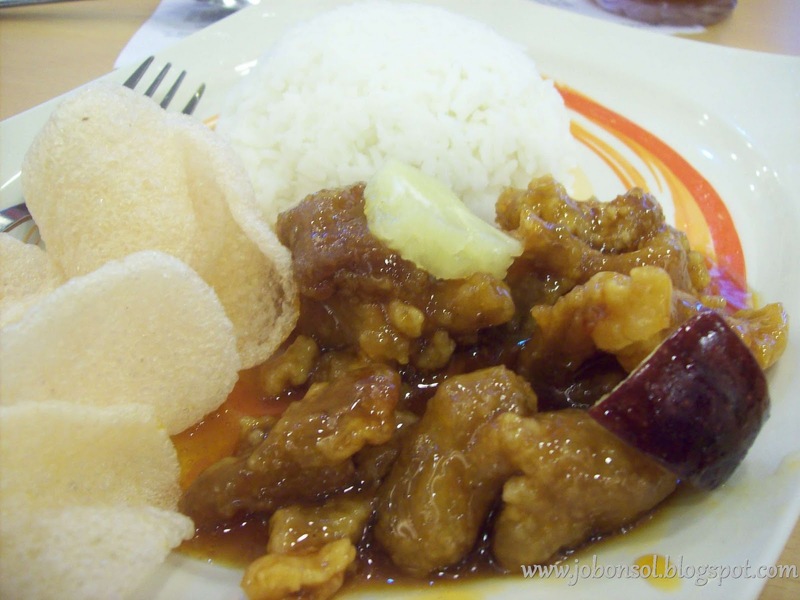 They have really improved their version of the Sweet and Sour Pork and the fruity sauce with the fresh fruits made the remarkable difference. My son had to order another helping of rice because he liked the taste of all the dishes on the table. This would be the best cheapest and most delicious meal for Christmas parties in offices, schools and organizations this season. For delivery, call 9-8888 or visit http://chowkingdelivery.com.